As an organic storage device, the brain compares pretty favorably to digital drives. It’s believed to be able to retain up to 2.5 petabytes of information—that’s akin to nearly three million hours of television. Being able to retrieve all of that knowledge, however, is a different matter. To help the process along, we’ve compiled a list of games that can help sharpen both your long- and short-term memory. 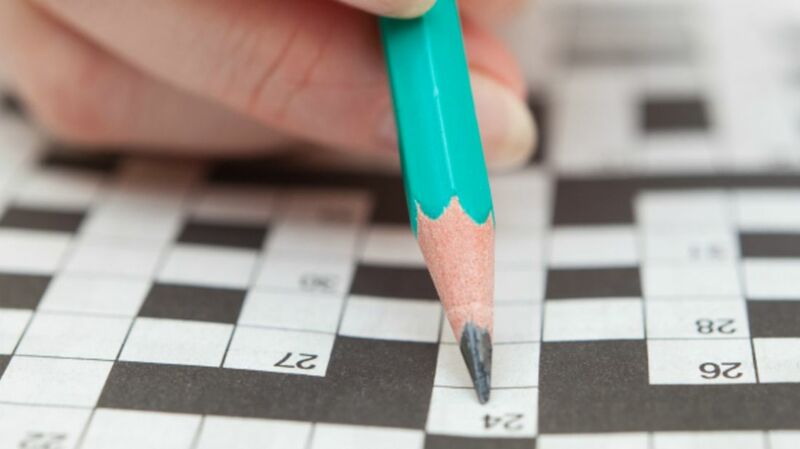 Crossword puzzles remain the go-to cognitive exercise, with studies showing a strong correlation between the habit and delayed onset of dementia. But the problem with crosswords as a memory and overall brain booster is that you can get too good at them: If you’re able to put your pen down in record time, you’re probably not giving yourself enough of a challenge. Try alternating crosswords with other word-search games to keep your brain engaged. Try memorizing small shopping trip lists using “peg words.” Let’s say you need milk, eggs, and orange juice. Your peg words might rhyme with numbers, so one is the “sun” and two is a “shoe.” If eggs are the second item on your list, imagine your shoe stepping in them with the sun behind you. Not only will you remember the item, you’ll remember where it is on the list. If you split your purchases up with a friend or family member, you can see who remembered the most items and in what order. Jigsaw puzzles are a fantastic tool for engaging short-term memory, since your brain has to sort through a series of colors and shapes in order to assemble a visual picture. The more pieces, the harder your brain has to work, and the greater the reward: “Clicking” a piece in place has been shown to produce dopamine, which can help concentration. But if landscapes and exotic animals have left you bored, try a smaller puzzle and flip the pieces over so you’re looking at only the blank side. With the color removed, you’ll have to rely only on shapes. While shooting aliens can be fun, it’s not necessarily going to boost your cognitive function. Games that require you to react to a stimulus—like a road sign or new environment—while playing can improve working memory, or the ability to recall information while you’re in the middle of solving a problem. A recent study also showed that such activity modulated known neural markers that allow you to better cope with “interference,” or distractions, while retrieving information. If you’re in a group, you might be able to enlist some players for a roundtable memory game. The first person declares he or she is packing a suitcase with one item; the next person repeats the declaration and adds an item. A player is “out” when he or she misses a previously inserted item. You’ve probably played a variation of the concentration game since childhood: Lay any number of cards face down, flip up two at a time, and try to match sets. But one way to make the exercise more engaging is to opt for the “spaghetti” variation—instead of neat rows of cards, try a messier arrangement. It will make the location of cards more difficult to remember. Ask a friend to grab a serving tray and a bunch of random items. Allow yourself a brief peek at the tray, then have it covered with a cloth. Try to remember all of the items. You can also look at a picture online, then minimize the browser and try to remember the contents. This number game has been a staple of newspapers for years, and for good reason. By having to keep a series of numbers in your head while mentally “rehearsing” their placement in the nine-space grids, you’re relying heavily on working memory. But bear in mind, Sudoku is believed to be most effective early on, before your brain has gotten used to organizing the numbers. If it gets easier, it’s time to try something new. Chess is one of the most intellectually challenging games around, though newer players often rely on short-term memory in order to analyze the board and plot their next move on the spot. More experienced players have committed strategies to their long-term memory, shifting the exercise to retaining information for the long haul. Take your left hand, make a fist, and extend your thumb; do the same with your right, only extend your pinky. Now switch them so it’s left pinky and right thumb. Not so easy? The coordination involved will strengthen neural connections, which will help both memory and other gray matter functions. A rebus puzzle usually consists of letters, numbers, pictures, and symbols that contain clues to the answer. The puzzle phrase “BAD BAD,” for example, is an encrypted way of saying “too bad.” You’ll need some knowledge of clichés and expressions to solve these puzzles, and you won’t be able to rely on implied or contextual clues like you would with a conventional sentence or word game.